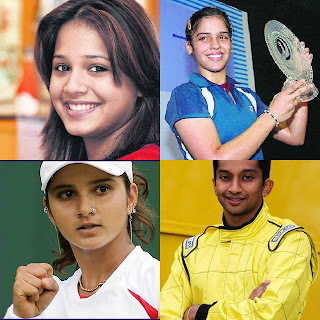 The 15th edition of FNQs is dedicated to the 3rd anniversary of the SportsQuiz Group,one of the unique online quizzing groups started by Prateek. Answers can be sent to quiz.aniruddha@gmail.com within the next 10 days. 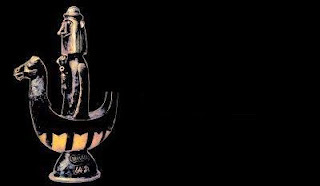 9.This bronze statuette is also known as the "Fascinated Wanderer".It was first awarded in 1967 and has been won by an Indian sportsperson on five ocassions.How is this award more commonly known as ? 1.Identify the lady in the picture.She became the first woman to win a race at the IndyCar world racing series in Motegi,Japan. 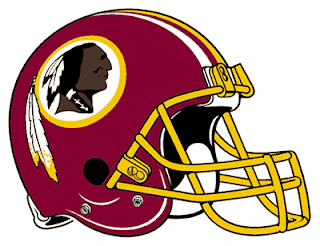 2.The image shows the helmet and logo of a much in the news sports franchise.Identify. 3.Which company is the official IT partner for FIFA 2010 football world cup ? 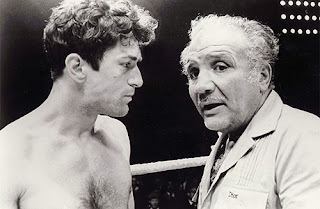 4.The picture here shows a Hollywood actor with a well known boxer,he portrayed in a 1980 Hollywood movie.Identify the boxer and the movie. 5.Give me the business connection in the visual below. 6. Identify the company which sculpted this special diamond and ruby encrusted ball being presented to Anil Kumble . 7.Musco Lighting is an American privately owned company, based out of Oskaloosa, Iowa that is noted for providing permanent or temporary lighting at major sports events and stadiums including the Super Bowl and Olympics.In India the company formed a partnership with a sporting great,and has been chiefly involved in installing floodlights in cricket stadiums.The floodlights at the Mohali,Ahmedabad,Cuttack and Brabourne stadiums were installed by this joint venture.Name the sporting great involved in this partnership who also lends his name to the Indian JV ? 8.Which member of the British royal family is set to represent Britain in 2008 Bejing Olympics .Also identify the event in which he/she will be participating ? Bring me my ___ _____ _____! In England’s green & pleasant Land." This is an excerpt from a famous poem by William Blake.The three blanks gave the name to a 1981 Hollywood movie based on the life of two British athletes participating in the 1924 summer Olympics in Paris.The film portrays the story of how Harold Abrahams who is Jewish, overcomes anti-Semitism and class prejudice in order to compete against the "Flying Scotsman", Eric Liddell in the 100 metre race. Fill in the blanks to get the name of the movie. Hey nice blog!! we quiz at www.quizzingatnitw.blogspot.com ,blog of NIT, Warangal. We would like to have a link of yours on our page if you are willing to do the same. Most of the remaining ones have already been answered.